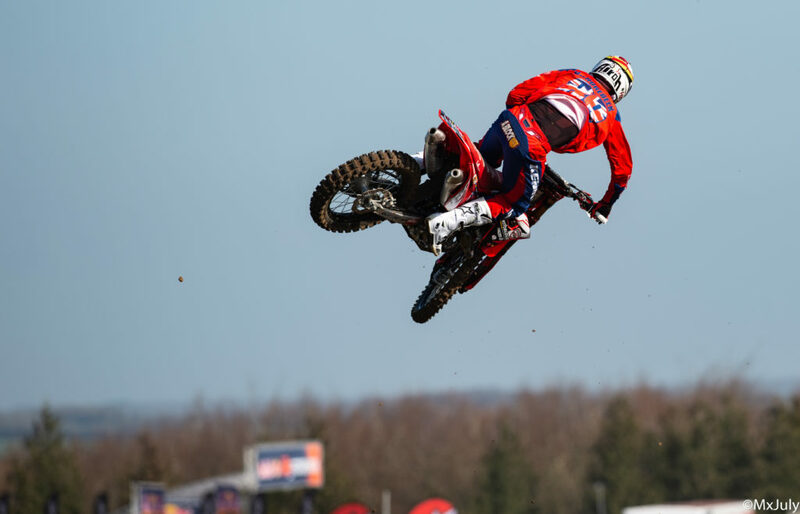 After the great results in the GP of Argentina, Jerre was ready for round two of the FIM Motocross World Championship in Matterley Basin not far from Winchester in Great Britain. 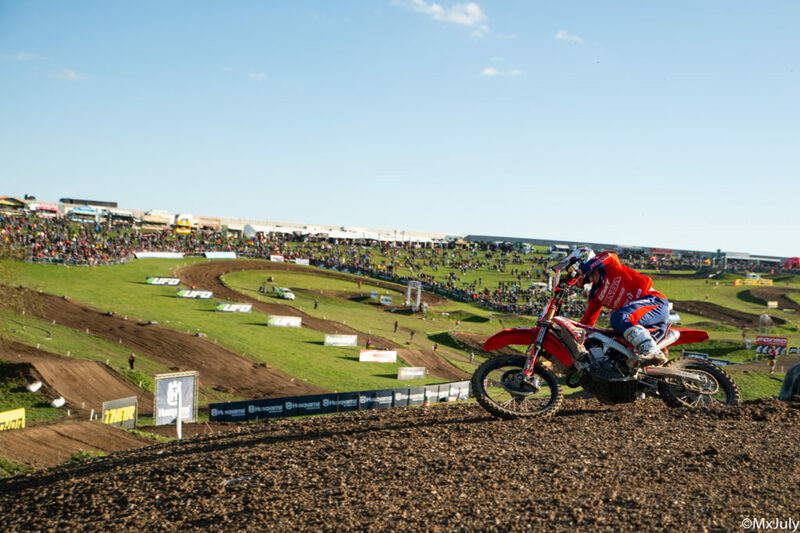 The MXGP of Great Britain was the first one on European soil. 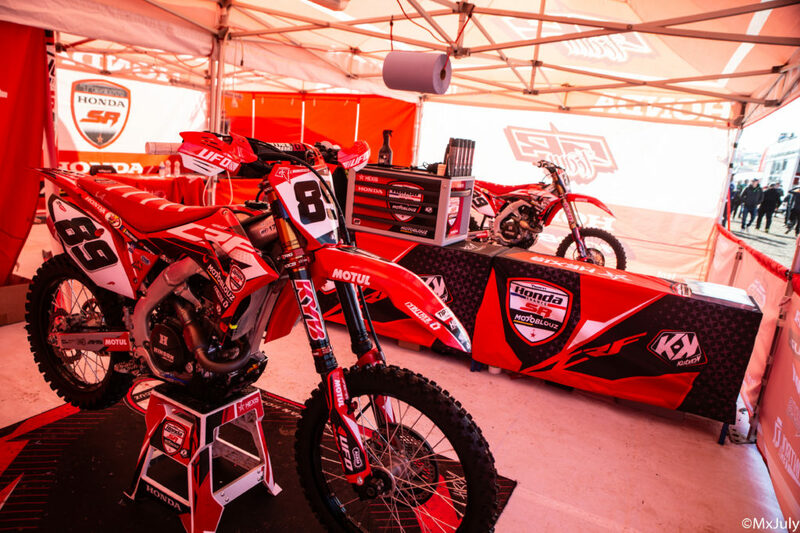 On saturday our Honda SR Motoblouz rider shows that he felt really great on the Honda 450 CRF, and archieved again amazing results down. In time practice on saturday he ended fourth, and rode his Honda SR Motoblouz to a great third place in the qualifying race. Jerre continued his great performance on sunday and archieved a fifth and sixth place in the races. 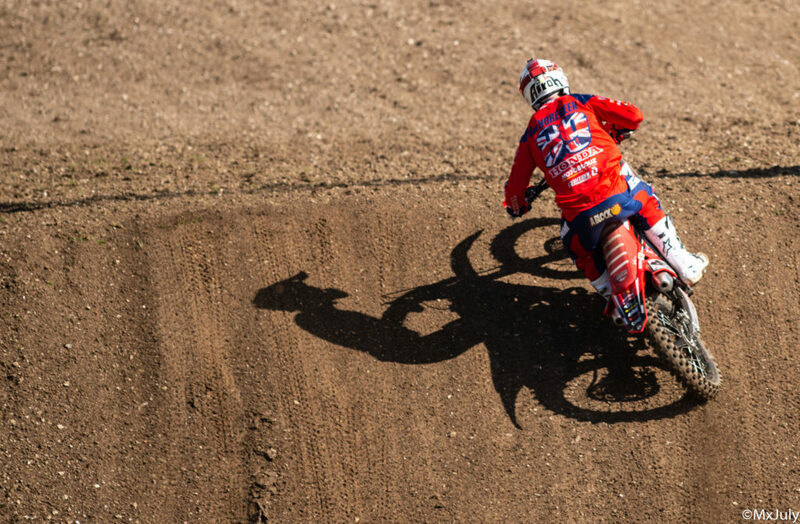 Wich resulted in a fifth place overall and a fourth place in the world championship standings. The Italian Cairoli won the GP before Gasjer and Paulin. Now we are heading to Valkenswaard for the GP of The Netherlands. 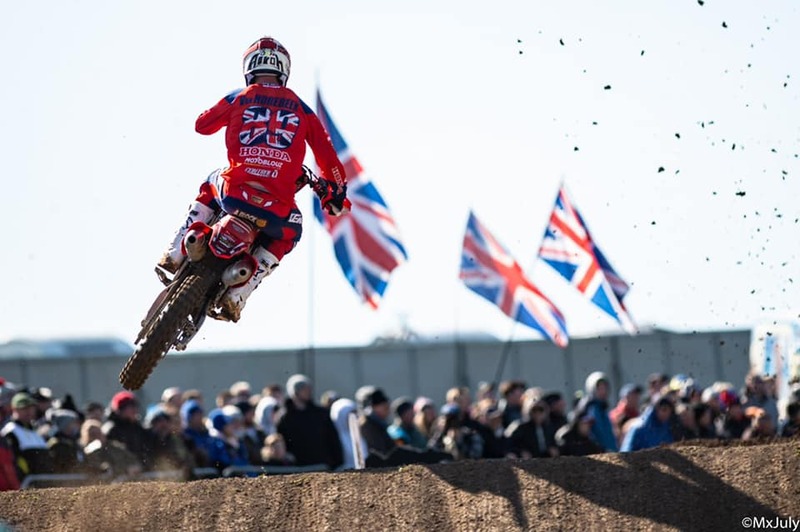 Jeremy Van Horebeek: “The British Gp certainly did’nt go bad for me, but due to a bad start in the second race, I had to come back from far and a top five place was the maximum attainable. 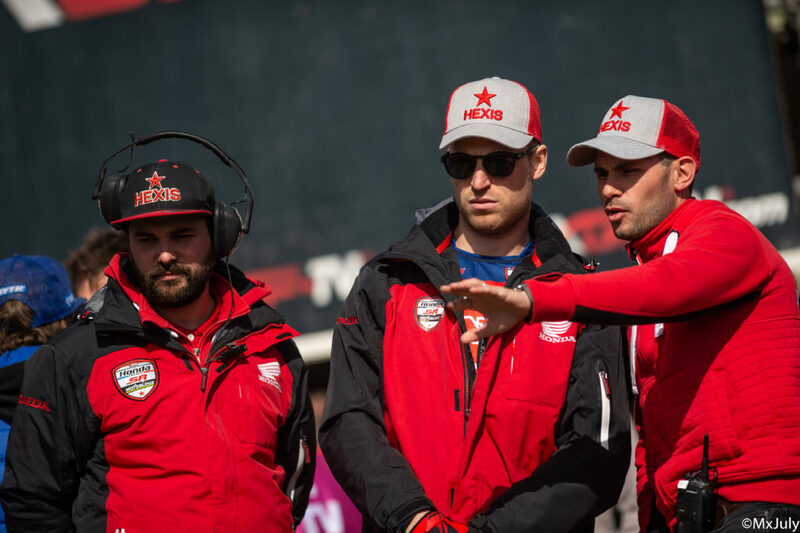 We learned a lot this weekend about the settings of the bike, since we were unable to do any testing in the offseason”. 1. Antonio Cairoli (ITA, KTM), 47 points; 2. Tim Gajser (SLO, HON), 45 p.; 3. Gautier Paulin (FRA, YAM), 42 p.; 4. Clement Desalle (BEL, KAW), 32 p.; 5. 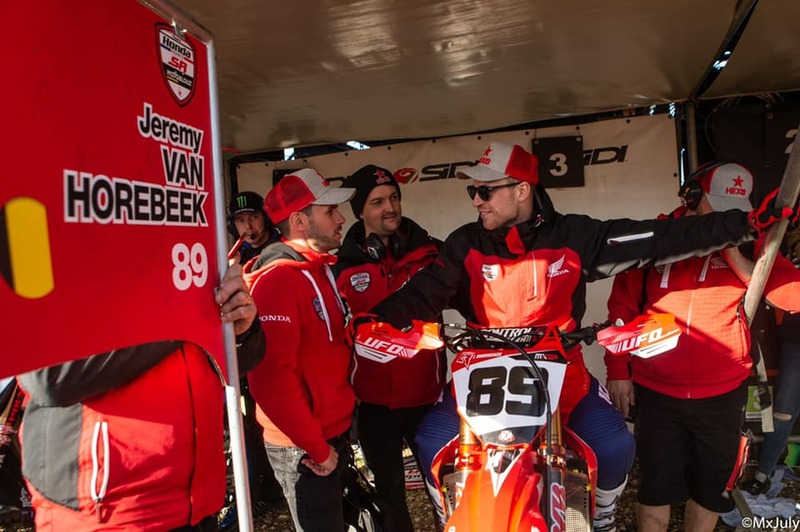 Jeremy Van Horebeek (BEL, HON), 31 p.; 6. Arminas Jasikonis (LTU, HUS), 30 p.; 7. 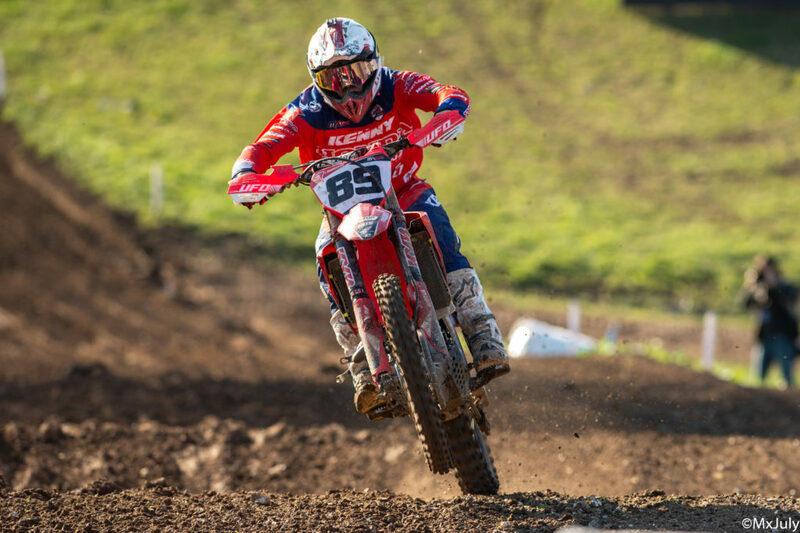 Jeremy Seewer (SUI, YAM), 29 p.; 8. Glenn Coldenhoff (NED, KTM), 22 p.; 9. Max Anstie (GBR, KTM), 21 p.; 10. Shaun Simpson (GBR, KTM), 17 p.; 11. Pauls Jonass (LAT, HUS), 17 p.; 12. 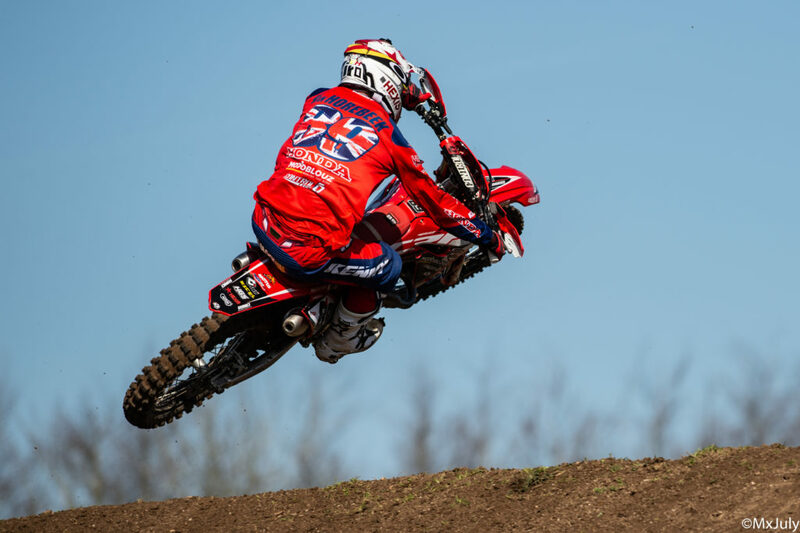 Tommy Searle (GBR, KAW), 16 p.; 13. Arnaud Tonus (SUI, YAM), 15 p.; 14. Tanel Leok (EST, HUS), 13 p.; 15. Jordi Tixier (FRA, KTM), 12 p.; 16. Julien Lieber (BEL, KAW), 12 p.; 17. Ivo Monticelli (ITA, KTM), 11 p.; 18. Alessandro Lupino (ITA, KAW), 8 p.; 19. Anton Gole (SWE, YAM), 7 p.; 20. Harri Kullas (EST, HON), 6 p.; 21. Dean Ferris (AUS, YAM), 6 p.; 22. Jose Butron (ESP, KTM), 2 p.; 23. Petar Petrov (BUL, KTM), 1 p.; 24. Brian Bogers (NED, HON), 0 p.; 25. Nathan Renkens (BEL, KTM), 0 p.; 26. Sven Van der Mierden (NED, YAM), 0 p.; 27. Samuele Bernardini (ITA, YAM), 0 p.; 28. Jonathan Bengtsson (SWE, KTM), 0 p.; 29. Tom Koch (GER, KTM), 0 p.; 30.